Rural Wales has some interesting seats. Has Ashcroft polled any seats in which Plaid are a serious factor? The Wales-wide polls suggest Plaid aren’t gaining much ground, with any gains from LD being offset by losses to Lab/Grn/UKIP. Still, I wouldn’t be shocked if they are able to do rather better in a seat like this. A post-debate poll for Wales would be useful too. It would indeed, Wellytab. Unfortunately, the only upcoming Wales-specific poll that I am aware of is the next ITV political barometer poll which is coming out the night before the election. Nor have Ashcroft’s polls touched on any of Plaid’s target seats. Understandably, he has focused on Lab-Con marginals in Wales – places like Cardiff North and Carmarthen West. Interestingly, Plaid are faring much better in electionforecast.co.uk’s analysis than they have in the (very few) Welsh polls of 2015 – 17% versus 12% in the latest Wales-wide poll. In the absence of more evidence, it’s very hard to say who is right. New yougov poll, with a seat specific question gives Ynys Mon to Plaid Cymru, according to Roger Scully. *With a ratio swing, UNS would keep this seat red. Noticed this when I woke up this morning, All the changes are pretty small but the CVI intention is quite interesting with Plaid going up to 15%. hhhhmmm been watching this thread closely for a while now. ironically I agree with dalek. Would expect this to be a labour hold but the assembly byelection must give PC some hope. And yet all I have seen is PC ramping and ramping and ramping on this thread. with not a lot of evidence to support said ramping. On Thursday one of two things will happen. Either I will owe a mea culpa or the PC rampers will be epically wrong. Suspect the latter. 200 vote margin – tantalizingly close for Plaid. I don’t really understand it – even in the 2013 by-election (with a far lower turnout of 42%) Plaid polled 12,600. If they’d only held on to that (which should have been easily possible on the higher GE turnout of 70%) they’d have firmly beaten Albert Owen’s 10,871. The By election was for a Welsh Assembly seat. I’m told that Albert Owen only held on because he is a great local MP….and good luck and congratulations to him…any Labour MP who hung on, due to their hard work and subsequent popularity deserves the greatest of respect. I wonder if this could turn out to be a close 4-way fight in 2020 – although UKIP may be perceived too far back and therefore be too squeezed to join the party . . . unless they are riding very high at the time. According to dicussion on the Derby North thread, somebody wanting to change their name before standing for election here would not be allowed to take the surname Llanfair­pwllgwyngyll­gogery­chwyrn­drobwll­llan­tysilio­gogo­goch as it is more than fifty characters long. Just in case you wanted to know! I see from Wikipedia that the boundaries of this seat have not been changed since 1885, when the borough seat of Beaumaris was abolished. Is it possible that the boundaries of this seat wil be changed before 2020? I don’t believe that the boundaries of this seat are fixed as a special case, like Isle of Wight, Western Isles or Orkney and Shetland, although there are people who think they should be. Anthony does not yet appear to have put up threads for the Northern Ireland seats, so can I point out here that the SDLP’s share of the vote in Belfast South at 24.5% appears from Wikipedia to be an all-time low for the share of the vote for the wiining candidate in a UK election. The British record appears to be 26% for Russell Johnson, LibDem, in Inverness in 1992. I thinkk that in the recent General Election the winning share of the vote here was the lowest in England, Scotland and Wales. It’s also one of the lowest in terms of number of votes, beaten by only Western Isles and Orkney and Shetlands as far as I’m award. It’s quite likely all these seats will remain intact, so come 2020 this may be the lowest in terms of number of votes due to Conservative increasing strength in Wales at the expense of Labour. I disagree. I think this could well trend towards Plaid with the right candidate (Plaid were pretty dim to select a candidate from Cardiff, when it’s pretty common knowledge that these constituents favour a local from the island). Ukip doesn’t have the organisation to win seats in Wales at the moment in my opinion + I expected them to do better here with their high riding in the polls and the fact that Nathan Gill is building a relatively decent profile in Wales + he lives in Llangefni. But i do think the conservatives could do well here. Very much depends on the candidate in Anglesey. I assume you mean constituency seats, Penyfro. The polling suggests it’s pretty certain they’ll win list seats in the assembly next year. I wonder which Welsh regions UKIP’s list seats are most likely to be in? Also, what is the chance they’ll sneak a list seat somewhere in the Scottish parliament? They did win an MEP in Scotland after all. Outpolled the tories in Glasgow in the euros. Perhaps a drop of potential there. Without exaggerating my parties’ chances , we expect to win at least 1 AM regional list seat in every region. I expect to get a maximum of 8 regional list seats. Depending on what happens to other parties , there is a chance we could get 2 in SWC. In terms of NI , I think we’ll get 3 , or that should be our target. London I think 2 , and in Scotland we’ll be lucky to hold a deposit let alone win an MSP seat. Ukip NI had potential for 3 until a few weeks ago, but as ever they decided to have a public falling out. Yes i agree Ukip will win a seat in every region, but with the relative strength of the libdems in mid+West wales that region could be the most ‘challenging’. I’m quite curious as to how well Plaid will do in SWC, name recognition goes a long way in politics (and since Leanne is the most recognisable politician in the Assembly by now) i wonder if it will boost their vote in the area at all, or enough to deny ukip a second seat. In belated response to Frederic Stansfield’s post of August 22nd, this island has no special provision about boundary changes so it will have to be linked with part of the mainland to produce the required electorate. personally I think Orkney & Shetland and na h-Eileanan an Iar should have special provisions as isolated island constituencies and be left alone. Special provisions are a pretty silly affront to democracy. Plenty of Scottish islands are joined to the mainland. I’d be inclined to leave the special case for devolved institutions whilst trying to equalise for Westminster seats. I wonder if UK polling report will have a section on WAG/other devolved institutions specifically? It might help make things clearer. As to the comment that UKIP committed suicide by kicking a single member out of the party, I don’t think so somehow. UKIP is doing most of their WAG selections over the course of the next couple of weeks for constituencies. It’s not close enough to the Assembly elections really to tell how many they’ll win, but I don’t think anyone can doubt that UKIP will have significant representation in the WAG. Interesting party line, and it sounds almost reasonable when phrased like that. However when UKIP decided to have a very public falling out, sack their effective founding member in a provence, throw away a chance of a gain in a 3rd of their targets and publicly tear themselves apart the comment holds up…and all because they couldn’t agree which hotel Nigel was going to speak at. It wasn’t due to that , the man had a very dodgy interview in which he expressed questionable views (even for NI) , that was more likely the reason that he got kicked out. But we don’t really know the reason , no-one in NI UKIP has said anything, nor has membership been told , we just know he’s gone. I still don’t think we’re dead yet , but we’ll find out won’t we? I’d have thought that was a prerequisite for being a UKIP representative. It’s must be admitted that kicking out the man who set up UKIPNI, was the Euro candidate, targeting a winnable assembly seat and has one of the biggest council votes in the provence is a pretty bizarre strategy. What a mysterious, draconian top down organisation it must be. Cameron must feel the luckiest man alive. His main opponents both left and right have, for no particular reason, decided to self destruct. As things stand, Plaid Cymru look lke favourites to win this seat in 2020. Well, maybe, but north and west Wales doesn’t always follow the usual electoral logic. You’d have thought, having won in 1997 (and 2001 in Ceredigion) that they’d have won Ynys Mon and Ceredigion this time round given LAB and LD’s general performances, but they didn’t. A few of these will be significantly altered if the boundary review gets completed before the next election (which it will be barring a snap election)-Ynys Mon will probably become Ynys Mon & Bangor as unlike other significant islands in Britain it was not given protected constituency status. Isn’t the Isle of Wight being cut up as well? It is which makes the situation with Anglesey seem rather unfair in comparison. Isle of Wight is too big so gets two undersized constituencies rather than being paired with part of the mainland (cos islands are a special case) but undersized Anglesey gets paired with part of the mainland (cos islands are not a special case) odd logic but that’s just me. I imagine the main reason Lab are tolerating it is because pairing this seat with studenty and primarily Lab voting Bangor makes what’s currently a vulnerable seat into something that’s reasonably secure. I suppose the argument would be that Ynys Mon is more connected to the mainland than the self contained communities of Orkney and Shetland or Na h-Eileanan an Iar, and more arguably the Isle of Wight, and so does not require the special treatment of those seats. If boundaries didn’t change I wouldn’t necessarily count on a Plaid gain. Outlying seats can often vote in ways unrelated to the national picture and Ynys Mon has a a history of just that. It is clear that both Albert Owen and the Plaid AM Rhun an Iorwerth have very strong personal votes. This seat must be very unusual in having been represented by four different parties since 1945 – Liberals to 1951, Labour 1951 to ’79 and 2001-, Conservatives 1979 to ’87 and Plaid ’87 to 2001. Are there any others that have that distinction? Off the top of my head Caithness (in its various guises) is the only other one I can think of (they’ve actually had five if you count the SDP separately). Kirkcaldy (and all its predecessor seats) fits that bill. Liberal to Labour to Tory to Communist back to Labour and now SNP. Bradford West is another 5 party seat if you count the SDP. Liberal to Tory to Labour (then multiple switching between Lab and Tory) to SDP back to Lab to Respect and now Lab again. Oh wait just realised you said since 1945 that rules out both my contributions then. Since 1945 another seat would be Glasgow North and its previous incarnations which also has been represented by five parties. Tory till the 1982 by election then SDP till 1987 when it fell to Lab where it remained till 2004 when the incumbent Galloway became a Respect MP then back to Lab in 05 then to SNP in 2015. 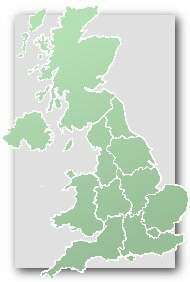 Are there any genuine cases (not counting the SDP and Liberals/Lib Dems separately, or people who change affiliation after an election) in England? Probably not, I’d suggest. In England I suppose you could say Clacton (Or Harwich as it was once known) but it is cheating a bit. Currently UKIP, previously Tory, before that Lab, then Tory again all the way back to the 50’s when it represented by the National Liberals who were admittedly basically Tories. True but Labour would never have won Clacton in its current form though. Probably not no, notionally Lab would have just gained it in 01 on the increased majority they enjoyed that election but that was almost certainly first time incumbency from gaining the seat in 97 so yeah probably would have remained just out of reach for them. Clacton’s the best answer, the Nat Libs were still a bit separate from the Tories in 1945. Bradford West might be next closest, Respect, Labour and Conservative (plus a defection to the SDP). It was created in 1955, just under half was previously in Bradford North, which was Conservative in 1950 and 1951.